Stephen McKinley Henderson has worked throughout the United States, on and off Broadway, and in television and film. 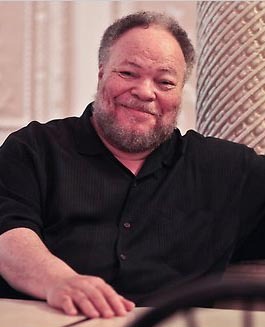 Considered among the celebrated interpreters of August Wilson’s work, he made his first Broadway appearance and second Kennedy Center appearance as Stool Pigeon in Mr. Wilson’s King Hedley II during the 2001 season. In 2003 he played Slow Drag in the Broadway revival of Ma Rainey’s Black Bottom with Charles S. Dutton and Whoopi Goldberg. As Turnbo in August Wilson’s Jitney, Stephen toured for an unprecedented full LORT season during 1998-99 in Boston, Baltimore, Buffalo, Rochester, and Chicago, playing Los Angeles and New York in 2000. During it’s off-Broadway run in 2000, Jitney garnered the N.Y. Drama Critic’s Award for Best Play and Drama Desk, Obie, and Audelco awards for each actor as members of the outstanding ensemble of the New York season. In Los Angeles, Mr. Henderson won the NAACP Theatre Award for Outstanding Dramatic Performance by a Male as well as a Los Angeles Drama Critics Circle Award as an outstanding featured actor. The London run of Jitney garnered the Olivier Award for Best New Play of the London season, 2002. In his eloquent obituary for playwright August Wilson Michael Feingold of the Village Voice wrote, “To think of the great characters and scenes in August’s plays is to think of an epic parade of great African American actors who have seized their moment to make theater history: James Earl Jones and Mary Alice inFences, Charles S. Dutton in Ma Rainey and The Piano Lesson, S. Epatha Merkerson confronting him in the latter, Roscoe Lee Browne sagely ironic in Two Trains Running, Stephen McKinley Henderson oozing malice in Jitney, Ruben Santiago-Hudson and Lisa Gay Hamilton glaring a skyful of weaponry at each other in Gem of the Ocean.” Stephen is honored to be considered in such outstanding company as a significant interpreter of August Wilson’s work during his lifetime. He was part of the ceremony naming the August Wilson Theater, in two productions during Signature Theatre’s August Wilson Season in 2007, and three productions in Kenny Leon’s historic Century Cycle Readings at Kennedy Center, 2008. In the 2004-2005 New York season, Stephen was cast as Van Helsing in, Dracula, The Musical on Broadway at The Belasco Theater, directed by Des McAnuff and off-Broadway as Pontius Pilate in the LAByrinth production of The Last Days of Judas Iscariot at The Public Theater, directed by Phillip Seymour Hoffman. Stephen worked for filmmaker Jim McKay as Arthur in Everyday People for HBO Films. He was on Broadway in 2004 in Manhattan Theatre Club’s production of Regina Taylor’s,Drowning Crow when Everyday People was presented at the Sundance Film Festival. The previous summer he was a member of the acting company for the Sundance Institute’s Theater Lab. Other New York work includes Emmett in the revival of Zooman and the Sign for Second Stage, and Bobo in A Raisin in the Sun for the Roundabout Theater’s 1985 revival. Stephen was also in the Kennedy Center production and Bill Duke’s PBS American Playhouse film of A Raisin in the Sun, starring Danny Glover and Esther Rolle. Other films include Marie: A True Story (UA/MGM) and another award winning American Playhouse drama, The Killing Floor. He also recurs as a judge onLaw and Order and was a series regular on the short lived Fox series, New Amsterdam. On repertory stages he has played Azdak in Caucasian Chalk Circle, Bynum in Joe Turner’s Come and Gone, Creon in Antigone, Troy in Fences, Falstaff in Merry Wives of Windsor, Sizwe in Sizwe Bansi is Dead, Sitting Bull in Indians, and Solyony in Three Sisters. He played Winston in the Irish premiere of Athol Fugard’s The Island, for Dublin Theater Festival (1981) and received a Jeff Award nomination when the production moved to Chicago’s Wisdom Bridge Theater. Stephen made his New York directorial debut with ALI! by Geoffrey C. Ewing and Graydon Royce. Their homage to the legendary champion ran off-Broadway during the 1992 season, transferring from the John Houseman Studio to the Sheridan Square Theater. The production garnered two Audelco Awards honoring outstanding achievement in African-American Theater off-Broadway, and an Obie for Mr. Ewing’s Outstanding Performance. In the summer of 1993, Stephen traveled to London to direct ALI! for the Mermaid Theater. It was also revived for the National Black Arts Festival in 1994 and the Olympic Arts Festival, Atlanta, 1996. Stephen directedThe Meeting by Jeff Stetson for the St. Louis Black Repertory Theater. This production was presented at Kennedy Center as part of the 1993-94 Imagination Celebration in the Theater Lab. Stephen’s most resent directorial credit was off-Broadway for Signature Theater’s 2009 production of Charles Fuller’s, Zooman and the Sign. While on the roster of Affiliate Artists Inc. (l986-9l), Mr. Henderson conducted workshops and presented solo “informances” throughout the nation. A list of the corporate sponsors would include Reader’s Digest, The Alcoa Foundation, U.S. Steel, and the Purina Foundation. From l976-l982 Stephen was a resident member of the Loretto-Hilton Repertory a.k.a. Repertory Theatre of St. Louis. For over 15 years he enjoyed an artistic association with Studio Arena Theatre of Buffalo, NY and St. Louis Black Repertory Theater, where he enjoys a continuing creative association with Artistic Director, Ron Hines. Stephen’s early education in Kansas City, Kansas, led to an academic scholarship to attend Lincoln University in Missouri, a historically black institution, where he met and was directed by Dr. Thomas D. Pauley. In his freshman year at Lincoln, Stephen auditioned for John Houseman and Michael Kahn and became a member of Group l, Juilliard Drama Division in 1968. Mr. Houseman includes Henderson’s work at Juilliard in his memoirs, Final Dress, Simon and Schuster, 1983 andUnfinished Business, Applause, 1988. Stephen was among the alumni interviewed for the PBS American Masters documentary on Juilliard first aired in January of 2003. His educational pursuits continued at North Carolina School of the Arts (BFA) where he served as president of the student government and at Purdue University Graduate School (MA), where he was Director of the Drama Workshop for the Black Cultural Center. He has attended summer sessions at Rose Bruford Academy in Britain and William Esper Studios, New York. In the summer of 2001, Stephen was part of a master class taught by Lloyd Richards at the Actor’s Center, NYC. The master class is featured in a documentary on Mr. Richards being prepared by filmmaker Michael Schultz. Dr. Samuel Hay cites Stephen’s work as an actor, director, and educator in his text, African American Theater, A Critical Analysis, Cambridge University Press. Mr. Henderson is a Fox Foundation Fellow, Distinguished Alumnus of Purdue University College of Liberal Arts, and a former Chair of the Department of Theatre and Dance for University at Buffalo, The State University of New York. In Buffalo, New York Stephen has received Art Voice Awards for Outstanding Performance and Career Achievement. In 1993 he accepted the Artist of the Year Award from the Arts Council of Western New York presented by NEA Chair, Jane Alexander.